Additional information: Jeff is a former astronaut turned billionaire entrepreneur who decided, following the death of his wife, Lucille, to use his fortune to assist those in peril. His five sons, all of whom work for him, are named after the 'Mercury Seven' astronauts - the first Americans in space. Jeff's father was a Kansas wheat farmer, and this heavily influenced his interest in machinery. Additional info: Scott originally trained with the United States Air Force, was well decorated, and attained the rank of colonel before retiring to join International Rescue. Scott is extremely intelligent and decisive, making him the perfect mission commander. Additional info: Virgil is said to have inherited both his looks and artistic abilities from his late mother. 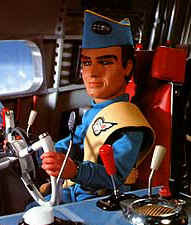 Virgil was educated at the Denver School of Advanced Technology, making him the ideal man to operate the varied machinery stored in Thunderbird 2. Additional info: John tends to be a bit of a loner, and is therefore ideally suited to time away from his large family on Thunderbird 5. This also gives him ample opportunity to indulge both of his hobbies. John is also fluent in many languages. Additional info: Gordon is a former Olympic champion butterfly swimmer, and a former Aquanaut with the WASP (see Stingray). He was severely injured in a high-speed hydrofoil incident, and the launch of International Rescue was delayed whilst he recovered. He is well-known in the family for his practical jokes. Additional info: Although a fully trained astronaut at just 21, Alan is also a world-class racing driver, and likes to indulge this when he is away from Tracy Island. He often comes across as an obnoxious, whiny brat, however he must have some redeeming features as, by the end of the series, he and Tin Tin are in a relationship. Alan is also a practical joker. Additional info: Brains is an extremely talented Mitchigan orphan who was lucky enough to have his many talents nurtured by his adoptive parent. 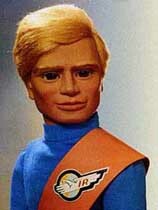 He is the designer and creator of all the Thunderbird craft, able to bring Jeff's vision to life. Brains suffers from a stammer. Additional info: Malaysian-born Kyrano is a chef by trade, and specialises in producing food for the space program. Kyrano's father was extremely wealthy, but Kyrano was cheated out of his rightful inheritance by his half-brother. 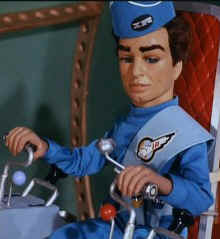 Kyrano retired following the death of his wife to care for their daughter, Tin Tin, but could not resist the position on Tracy Island once he knew about International Rescue. Additional info: Tin Tin was raised by her father,Kyrano following the death of her mother. 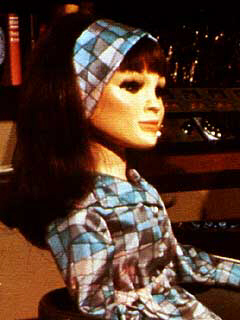 As thanks for Kyrano's help, Jeff Tracy paid for Tin Tin to receive the best education possible, and her engineering skills are often called upon. By the end of the series, Tin Tin is in a relationship with Alan. 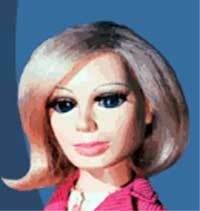 Additional info: Although retaining all the comforts of her aristocratic roots, Lady Penelope has little care for the traditional lifestyle her birthright brings, and was a secret agent long before International Rescue came into being. Her mannerisms are generally affected to divert attention from her true purpose. Unlike most spies, Lady Penelope seems to go out of her way to draw attention to herself, whether it be her wardrobe choices or her bespoke pink Rolls Royce. Additional info: Parker comes from a long line of butlers, however he himself came to the profession rather late in life; as a youth he became an expert safe-cracker and embarked on a life of crime. 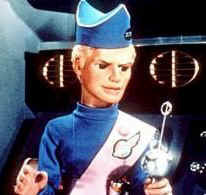 Lady Penelope decided his talents were precisely what she was looking for in an assistant, and laid a trap for him. 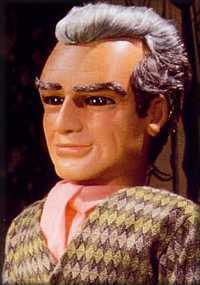 Parker has a great deal of respect for Lady Penelope. Additional info: Grandma looks after her son and grandsons, occasionally putting her at odds with Kyrano, whose job she seems intent on doing. 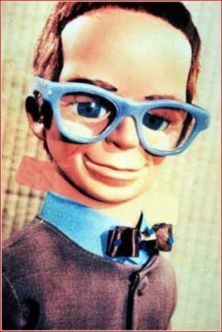 The dates above have been given for the 2026 timeline, as per the Thunderbirds Annual published by ITC Entertainment Group Ltd. in 1992. The dates listed below are as per 2065 timeline, as per the Thunderbirds Top Secret Annual 2001, published by Carlton Books Ltd. in 2000. 11 The 1993 Thunderbirds Annual (published by ITC Entertainment Group Ltd, 1992) clearly links the two events in the timeline on page 6. 12 Although Grandma's name is never specified in canon, nor any supplementary material, she is generally known in fanon as 'Ruth Tracy'.